The Chelsea range focuses on the desire to have the finest finishing touches with exquisite detail. The furniture has soft close mechanisms, the cleanest of lines and all the accessories are of the highest standards. 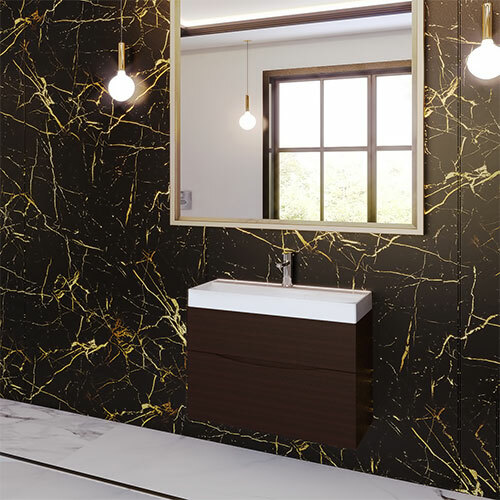 The bathroom styles from the Chelsea range are considered to give your home a timeless, luxurious feel. We want you to relax in your new bathroom and enjoy the space with the products that we have selected. Regularly regarded from our customers as a luxurious set of products. 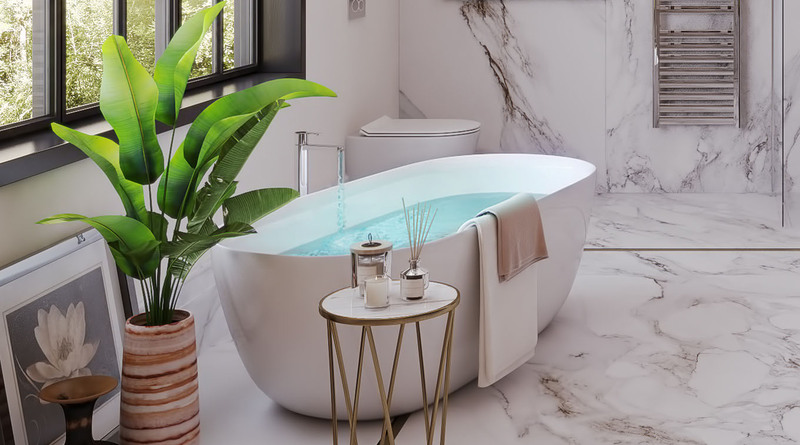 The main bathroom should allow you to have a sense of exquisite calm. 1x White Free Standing Bath with soft edges and a design that exudes comfort. Up to x2 persons. 1x Wall Hung Toilet for easy clean with slimline, soft-close lid and seat – designed to create a sense of detail. 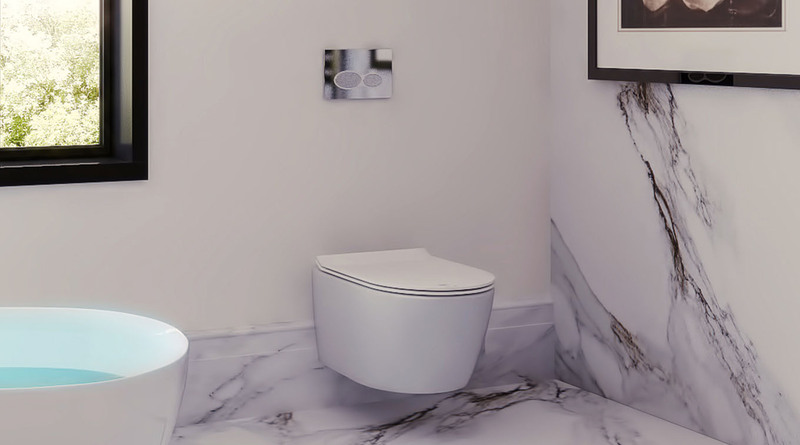 The off-floor toilet creates a sense of space and allows access to clean floors with ease. It comes complete with wall frame, dual flush cistern and flush plate for a clean look that our engineers tested to ensure the best fit and style with our designers. 1x Wall Hung Vanity Unit with integrated composite basis that flush fits to the furniture with seamless handles. This unit is available in x5 colours to compliment any theme in your idea: Gloss White, Grey, Driftwood, Walnut and Wenge. These are two drawer unites with soft close mechanism’s and solid wood construction all giving a sense of strength. 1x Walk-in Enclosure with easy clean, safety glass from floor to below ceiling with minimalist safety rails. The waste mechanism can either be a wet room system allowing a chosen flooring to be part of the design and should you prefer you can have a slimline shower try. The enclosure offers a sense of space and the shower head creates a wonderful feel with the wide aperture – rain effect. 1x Wall Mounted Radiator – Chrome effect, flat panel with round design complimentary valves. Freestanding 1690mm x 800mm stone bath including stone cover waste, freestanding bath mixer with handset including standpipes and covers. 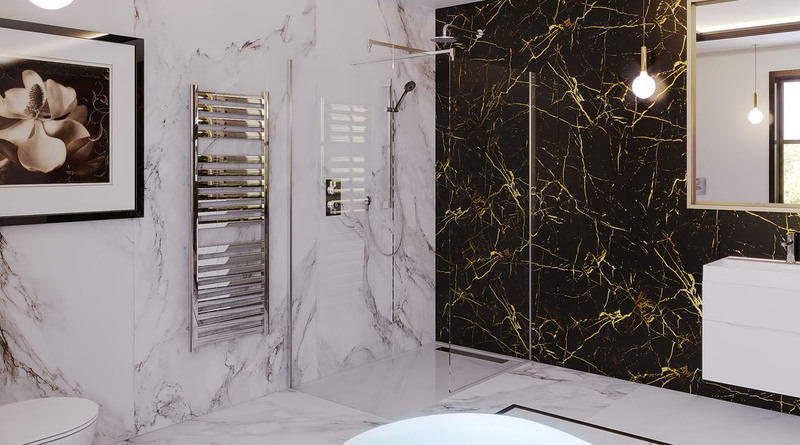 Complete walk in shower including two wall posts, one front panel fixings, one side panel fixings, one 900mm glass, one 800mm glass, one 1400mm x 900mm linear waste low profile shower tray. Digital shower valve with riser rail and handset, wall mounted shower arm and round shower head. 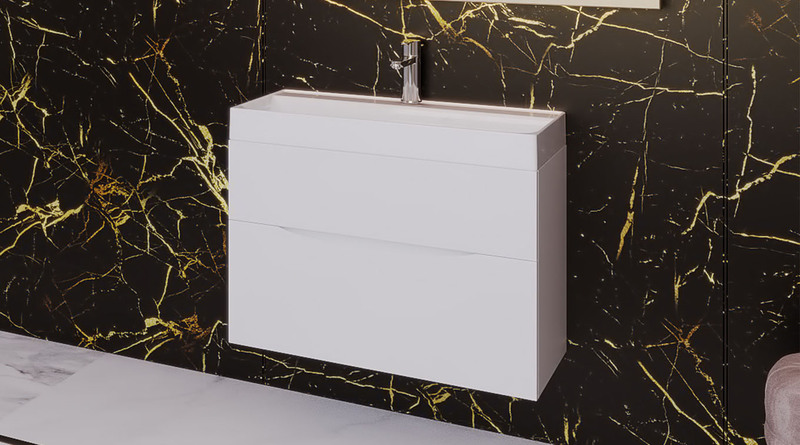 1000mm x 450mm wall hung vanity unit with soft close drawers, cast mineral 1TH basin to suit the unit, mono basin mixer including click clack waste. 1.18m concealed cistern wall frame including: flush plate, wall hung pan and soft close seat. 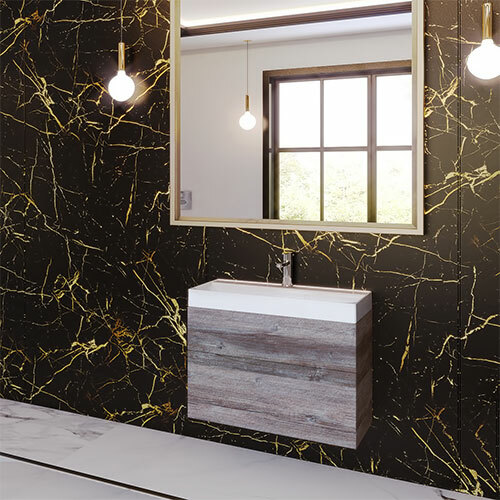 Click here to add this suite to your shortlist and start planning your dream bathroom. A non-slip and removable liner for your furniture. If your walls are not strong enough, to add a bit of extra support, or simply another design element.